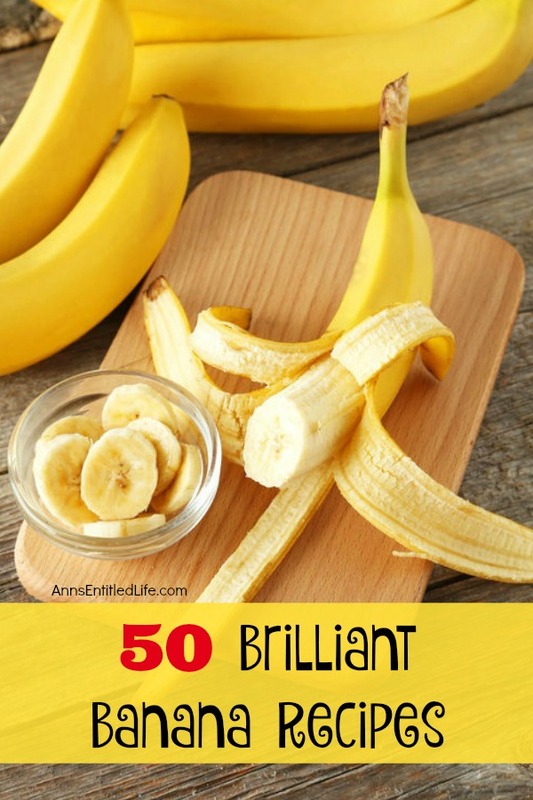 Deep fried, baked, steamed or mashed; the next time you peel a delicious yellow banana, try one of these 50 Brilliant Banana Recipes. From cakes to pudding, from smoothies to breads, cooking and baking with bananas is truly diverse and delicious. The banana is one of the world’s most popular fruits. The average American consumes 25 pounds of bananas a year! It is the #1 fruit in the United States. Botanically it is classified as a berry (I did not know that! Did you?) Bananas may be yellow, red, purple, or brown when ripe. Bananas were first domesticated in what is now known as Papua New Guinea, as far back as 8000 BC. Today bananas are grown in over 100 countries worldwide. Cavendish bananas are the main type of commerical banana grown for consumption due to shelf life and easy of transport, not due to taste. India produces most of the world’s bananas, followed by China and the Phillpines. Export bananas are picked green, before mature, and shipped refriedgerated. Bananas ripen in special rooms upon arrival in the destination country. These rooms are air-tight and filled with ethylene gas to induce ripening. The vivid yellow color consumers normally associate with supermarket bananas is, in fact, caused by the artificial ripening process. Tree ripened Cavendish bananas taste better than artificially ripened bananas, but only have a shelf life of a week. 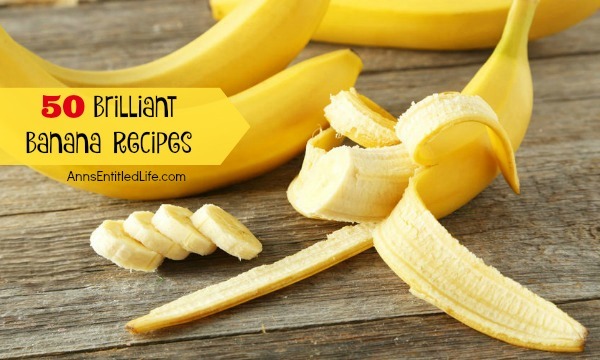 Bananas are a good source of Vitamin B6 and Vitamin C as well as Manganese. Hi Ann. Thanks so much for including my smoothie in this lovely round up! Have a wonderful weekend! Thank you so much for including my chocolate chip banana muffins recipe! Have a lovely weekend! I can’t wait to try some of these recipes! Thank you so much Ann for including my Banana Chocolate Chip Muffins and Peanut Butter Banana Cream Pie! Have a wonderful weekend! Nom.nom.nom! What a fabulous list!